The first new Routemaster-style bus started operation yesterday in London, and inevitably Mayor Boris Johnson has come in for stick from all sides, with Labour MP for Tottenham David Lammy complaining that each new bus costs £1.4m compared with the conventional double-decker bus, which costs about £190,000. 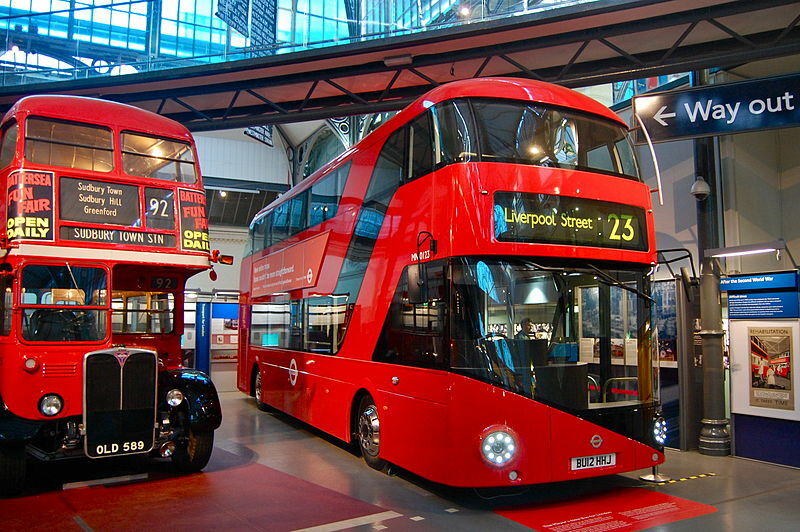 While I’m certainly no fan of Boris’s, it was predictable for MPs to number-crunch and ignore the real reason for the bus’s comeback; an illogical but profound love for the old originals by Londoners. In the last couple of privatised decades we’ve seen the demise of most London iconography, from the pillar box to the phone booth. The traditional colours of London’s street furniture were black, white and red, but as private firms came in and new colours and designs were added to the palette, the image of a cohesively designed London seemed not to matter. Margaret Thatcher famously had no time for art or design. Identity is an intangible thing, but can certainly be helped by unity of design. There was a point in the mid-eighties when London started to look like every other city in the world. It became a divisive, depressing place in which to work. The bus argument is a passionate one and is set to continue, but it seems we rarely bring London’s overall design (which is generally shockingly poor) into the debate in any meaningful way. There are improvements currently taking place around the city which please from both a safety and a design perspective. The black metal barriers on traffic islands that merely pen pedestrians in are being removed, and kerbs are being lowered, which creates a better dialogue between pedestrians and vehicles. In particular, it feels as if private cars are learning that they must negotiate London streets with the help of pedestrians, rather than treating them as obstacles. But it feels as if there’s a long way to go. Crossrail has turned the West End streets into an obstacle course of closed roads, but the end result, with the stations working from a single design palette, will help to modernise and unify. The red bus is an unnecessary luxury, yes, but how nice to see it back on the streets in a new form. Yes indeed.And I’d like to see black cabs that are actually black and not plastered with ads. Love that red bus. I’d drive one, except for the garaging problem and everyone wanting to hop on, and the insurance. A nice sound system would be fun, too. City workers should have to go back to wearing bowlers, and carrying brollies, and looking because of it like either Frank Thornton or Tony Hancock. Either one, their choice. When streets are narrow or heavily congested it makes it easier to locate the oncoming bus if it is in a familiar colour and shape. Naturally one looks for a red bus in London. My husband couldn’t locate the turn signals in the photo. Are they centred in the headlights? Is there really that huge a price differential or have they rolled in the design costs as well? those will be amortized over the life of the design, after all. With regard to cabs: are the ad covered ones not the ones you phone for, but the ones on the rank are the traditional ones? I was a little confused when I was there, although I really enjoyed the conversations we had with all the cabbies (including a fun weather conversation with a York driver). Oh, and I’m delighted they’re taking those fences away. I never saw anything so likely to cause unnecessary death under crowded conditions as those pointy fences. 1.4million squids does seem a tad pricey, but I’m assuming it’s got Gods-know-what kind of security/technical/electronic doodads in it. And it is perdy. There was an episode of Antiques Roadshow which featured a bloke who’d bought a number of those Routemasters when they were put out to pasture. IIRC, he only paid something like 10k quid each for them, and he’d restored them and(I think) was hiring them out for weddings, parties and the like. Hi Helen – I understand that the heady cost is indeed inclusive of research, development and design. This will be amortised over future issues of these buses.